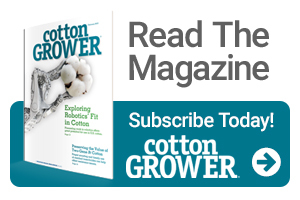 With a full profile of moisture in most parts of the Cotton Belt and an abundance of good cotton varieties and technologies targeted to each growing region, what does a grower need to do to get ready for 2019? 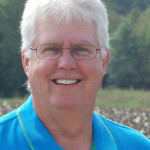 In areas where cotton is going be planted after cotton, pay attention to pest issues that may occur with no rotation. Have the fields tested for nematodes and soil-borne diseases and select varieties accordingly. Strongly consider putting nematode resistant varieties on fields with a history of nematodes. Talk to your neighbors to find out which weed control technology they’re planning to use in order to minimize off-target movement – and challenges between neighbors. Communicate before purchasing seed so everyone can be on the same page and place similar technologies adjacent to one another. Pay attention to what’s in the sprayer. A lot of observed damage in fields last year came from the “self-inflicted wound” of tank contamination. Know which technology – XtendFlex, Enlist, Roundup Ready, LibertyLink or none – is in each field and treat accordingly. And, be sure to completely flush and clean sprayers after each use according to herbicide label directions. Sample fields and fertilize accordingly. Know where you stand with soil nutrient levels before planters roll. In many cases, fields may be low in potassium or phosphorus. Soil sampling is the best way to help growers know early how prioritize their nutrient budget. Variety selection is still key. Look at the variety options as a whole for your fields based on maturity, the traits that come with each variety, yield testing results and fiber quality package. When possible look at multiple locations and multiple years of yield results to determine yield stability. Get back to basics. Cotton growers know how to grow cotton. But, sometimes, everyone needs reminders to help avoid problems – and the time and expenses needed to fix them. Is California’s Pima Cotton Industry in Danger of Drying Up?